“Oh the weather outside is frightful”. Is it getting cold where you live? We can sure tell winter is well on it’s way! So on the frightfully partially frozen days my favorite way to warm up is a hot cup of coffee. My children on the other hand absolutely don’t drink coffee (what mother would do that to themselves?) but they enjoy a warm cup of hot cocoa. Often times you can find us sitting together, enjoying our hot cocoa (and coffee), warming up. Holding the warm mug between your hands, melting the cold off of your fingers, it’s pure wonderful isn’t it? What cup of hot cocoa is complete without marshmallows, though? According to my girls, it’s not even an option. 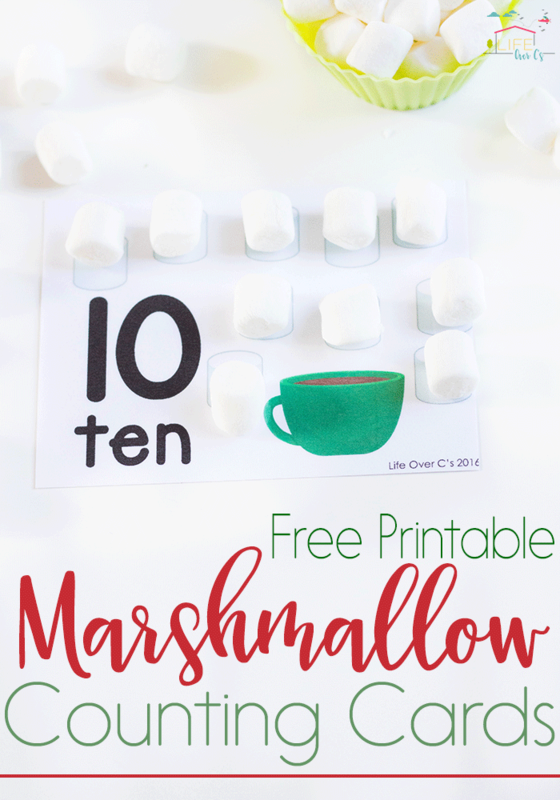 Marshmallows are a key staple in hot cocoa and they are the key to these super cute Marshmallow Counting Cards for Numbers 1-10! 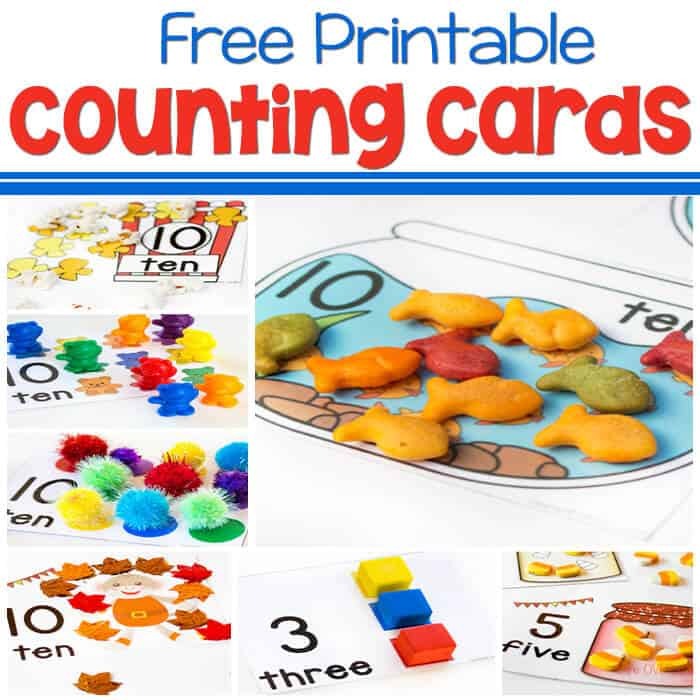 These counting cards are fantastic for early learners who need visual assistance to help count. Even if a child can count to ten independently, these printable cards will help reiterate the numbers and sequence in their minds. Fabulous if you ask me! And the best part is I can usually find a bag of mini marshmallows for around $1. This is a very inexpensive activity! 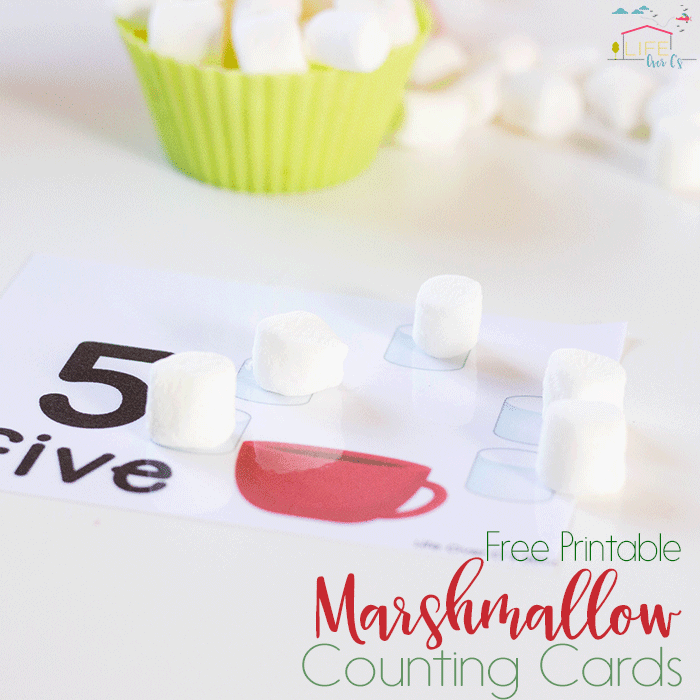 To prep: Print and laminate the marshmallow counting cards (download below). To use: Have your child cover the pictures of the marshmallows on the counting cards with the correct number of mini marshmallows. These cards are perfect for new learners who are not ready for independent counting. The kids simply cover each marshmallow picture on the card as they are counting. That way they know when to stop for each number. 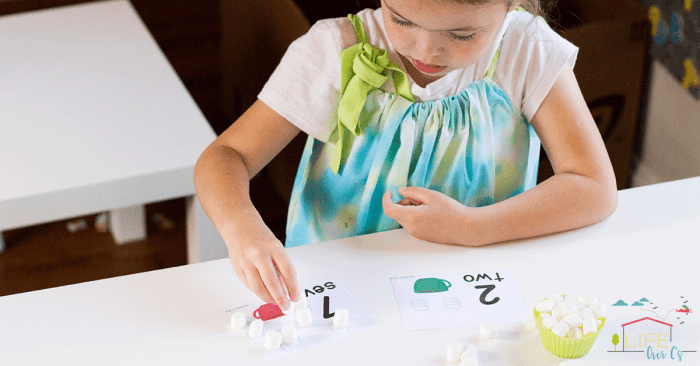 We hope you love these Marshmallow Counting Cards as much as we do. If you’re really feeling the theme of Marshmallows & Hot Cocoa, you could even do this activity while sipping on a mug of hot cocoa, with marshmallows of course! Such a great way to make learning fun! Try all of our themed counting cards!